This two-day sequence is ideal for organizations seeking to bring their scientists "up to speed" in the core skills needed to manage a research lab and to effectively lead scientific project teams. Participants will learn how to navigate difficult conversations, how to run productive meetings, how to interview and hire the best team members and how to ensure that they stay focused and on track. The workshop can be customized to reflect a basic research (or academic) environment, or an applied (or pharma, biotech, private sector) environment. This two day series can be offered as two days in a row or with a gap of days or weeks in between. So much of what takes place every day in the lab or in science team meetings involves resolving differences of opinion or accommodating multiple viewpoints in complex scientific discussions. Often such discussions engender strong emotions, leading the participants to engage in counterproductive behaviors. At times the scientific discussion can get de-railed by emotion laden interchanges, and projects can be hampered or even halted. When team or project meetings are run well they can be an invaluable tool for communicating information and making decisions in the science workplace. When run poorly they can be a source of frustration. In this solution-focused half day workshop you will learn and practice the key elements of running productive and interactive team or project meetings in the science workplace. Dr. Carl M. Cohen has over 30 years of biomedical research and management expertise in both the public and private sectors. Dr Suzanne L. Cohen is a licensed psychologist with expertise in both individual psychology and group dynamics. 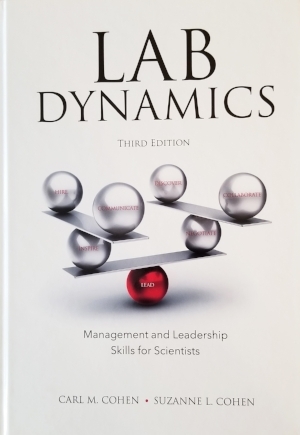 Lab Dynamics: Management and Leadership Skills for Scientists, third edition. We've recently published the third, revised and expanded edition of Lab Dynamics, the premier guide to management and leadership skills for scientists. Read more about what’s new in Lab Dynamics here. 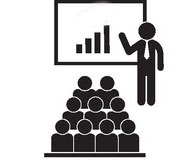 Can we help your team with training, consulting, or coaching? We're based in Newton, MA, but we can help even if you're not close by. Drop us a line and we'll get right back to you.